Have any of you ever dreamt of entering a cake competition but are scared to press submit on that entry form? I feel like that about GBBO as I know I’m not good enough (yet) but there are other competitions I have entered in the past. On one occasion I actually came 1st in the Vintage Category of the Leeds Bake-Off in 2013 and the buzz and confidence boost it gave me was amazing. That same year I also entered one of the many competitions at the Cake and Bake Show – The Clandestine Cake Club competition. Now I didn’t win that one but I did get some great feedback from the celebrity judge – Britain’s Best Bakery’s Peter Sidwell. Honestly, getting such positivity from him gave me such a boost and self-belief in my baking. I have also taken part in Iron Cupcake in the past too and the amazing responses from the tasters there made me feel so happy about my baking. Who care's that I didn't win? I moved my baking from the comfort of my kitchen to letting the public taste it. For all of us bakers that takes courage and I'm a wimp at the best of times haha! 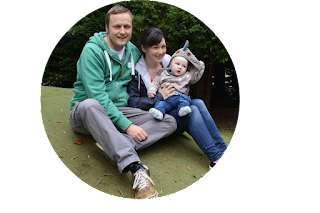 When the folks at the Cake and Bake Show told me about the competitions coming up at this year’s show I knew I had to tell you about them. I’m also very excited to see all the amazing entries. In previous years there has been a Jungle theme and a cake catwalk and I have been so wowed by what’s being exhibited. This year, The Cake & Bake show is calling on professional, semi-professional and amateur bakers to enter a cake based on their own interpretation of children’s stories. Entrants can choose anything from a character in a children’s book to nostalgic movie scene or a combination of all your favourites from over the years! Whether big or small, cupcakes to 3 tiered extravaganzas, the design will be totally up to the decorator as long as it adheres to the theme! Awards will be given for - display and taste and display only. Entries will be judged by an esteemed panel of experts inclusive of Gurgle magazine for our junior category. The Edinburgh competition will be judged and awarded by the Scottish Baking Awards as well as the Cake & Bake team. You might be thinking “I’m not good enough” but let me tell you, you are! We all have to start somewhere and you don’t know how good you really are until you let other people judge your creations. Seeing your cake on display and other people admiring it is an amazing feeling. 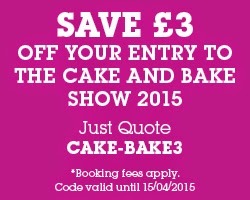 Check out the Cake and Bake Show’s website for further details. If you think you could do it then enter it! Good luck!